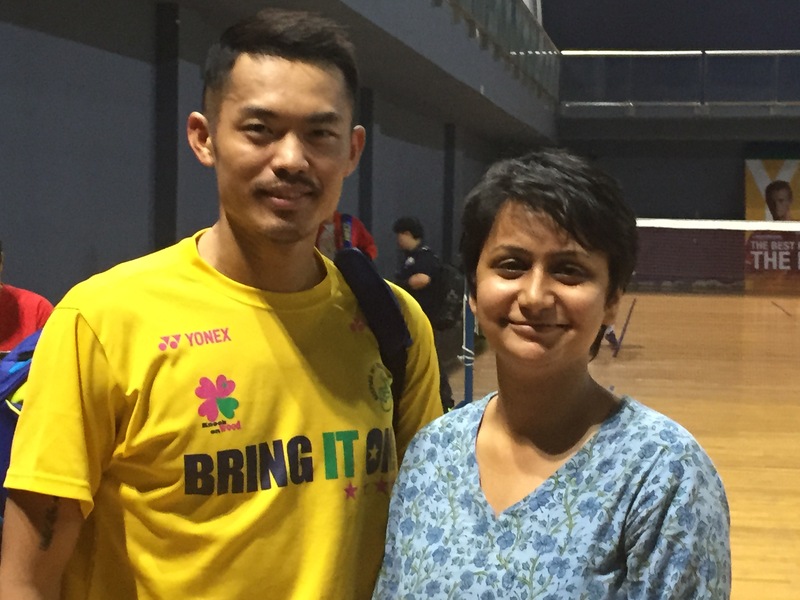 My moment with the last of badminton’s Big Four! Denmark’s Peter Gade (left) and Indonesia’s Lee Chong Wei are quite friendly with media persons. (Photo taken from Peter Gade’s facebook page). Every sports journalist has a weak point. I have four. In no particular order, they are Taufik Hidayat, Lin Dan, Peter Gade and Lee Chong Wei. They all are former world No.1 badminton players and were the rulers of this sport for many glorious years — yes all of them! Together, they hogged the top-5 rankings (and stayed on for many months in the top-10) to the extent that I used to think of them as badminton bullies. I covered badminton since the start of my career and got a chance to see the charismatic Indonesian bad boy, Hidayat, and the crafty Malaysian Lee Chong Wei in action during the India Open GP 2009 in Hyderabad. Lee lost in the first round while Taufik won the title. I was watching like a starry-eyed fan (far cry from them ‘eh I don’t care’ attitude we journalists feign in front of celebrities) as Taufik swished and swooshed his racquet to take down every opponent. It was like a live video game for me. Okay I know Taufik Hidayat looks least interested in this pic. I doubt whether he was even paying attention. After a match, all players are required to come to the place where media persons are stationed, so that journalists can talk to them. After his semi-final win, when Taufik came there, I just lost it and asked if I could get a picture clicked with him. That was not the time when camera phones were that popular, so I enlisted the help of another photojournalist. Oh the way I sang and danced and smiled the whole day… it was magical! One down three more to go. Jaundice prevented me from covering the World Championships in Hyderabad that year, but as luck would have it, I moved to New Delhi the year the first India Open Super Series (2011) was held. So, that year Not only did Hidayat and LCW turn up, I got starry-eyed and jelly-knee-ed all over again when I saw Denmark’s Peter Gade warm-up in the practice courts. He was just so flawless! We spoke to him after his practice and he talked about how he is recovering from this injury and that surgery and how he misses his girls… all I could think of was are you kidding! Nobody who is injured plays like that! The way he moved on court, as if he had all the time in the world to decide how to return the shuttle, it was a treat to watch! That year, LCW won. But the pressure of deadlines and getting the best charging spot at the media centre meant that I had absolutely no time to think about pictures with LCW or Gade. In 2012, these three giants show up again in New Delhi for this event. How time flew I do not know. Though I interacted with all three, I simply forgot about my secret album collection. I left active journalism for sometime, so skipped the 2013 and 2014 Super series as well Thomas and Uber Cup Championship that were held in Delhi. But I finally got my golden chance in 2015 when I was a part of the 2015 India Open Super Series. Gade and Hidayat have now said goodbye to badminton. LCW is out of action because of his doping trials. But China’s Lin Dan was there! And so, I went straight for the big fish. Oh god, the way he was playing, it seemed surreal, I mean it. That AC drift that players keep complaining about — he looked lighter than that. His features have changed a lot over the years, the chocolate boy looks have been replaced by a rugged mature man’s face. Thank you all smartphone companies! For when Olympic champion and former world champion Lin Dan was in a good mood and was leaving the practice court, I had a camera phone with me. I did not lose even one second this time and got that perfect shot! God knows how long he is gonna keep playing, so at least I got my click before he retires.. ha ha. Next point on my agenda — travel to Indonesia and Denmark to complete the story :). But after extremely strong evidence against him surfaced and Tour de France record was wiped out (literally), I didn’t feel like peeling the plastic cover off his book, until last month when a long train journey required a good read. It’s amazing how one can read a book with a different perspective now that we know the truth. Here are some excerpts from the book, which made me laugh and smirk. Page 8 (last para) Rick was used to hearing me complain about my sinuses and allergies. Austin has a lot of ragweed and pollen, and no matter how tortured I am, I can’t take medications because of strict doping regulations in cycling. I have to suffer through it. Page 117 (first para) Quite simply, I believed I had a responsibility to be a good person, and that meant fair, honest, hardworking and honorable. If I did that, if Iwas good to my family, true to my friends, if I gave back to my community or to some cause, if I wasn’t a liar, a cheat, or a thief, then I believed that would be enough. Page 125 (third para) There is nothing to do but sit in bed and let the toxins seep into my body — and be abused by nurses with needles. One thing they don’t tell you about hospitals is how they violate you. It’s like your body is no longer your own, it belongs to the nurses and the doctors, and they are free to prod you and force things into your veins and various openings… When I was awake, the nurses ate me alive. Page 187 (first para) While I was sick, I told myself I’d never cuss again, never drink another beer again, never lose my temper again. I was hoping to be the greatest and the most clean-living guy you could hope to meet. But life goes on. Things change, intentions get lost. You have another beer, you say another cussword. Page 205 (last two paras) In July, I skipped the Tour de France. Instead, I did some TV commentary and watched from the sides of the road as it turned into the most controversial and traumatic bike race in history. In a series of raids on team cards, French police found trunkloads of EPO and anabolic steroids. Team members and officials were thrown into French jails, everyone was under suspicion, and the cyclists were furious at the tactics used by the authorities. Of the 21 teams that began the race, only 14 finished. One team was expelled and the other six quit in protest. 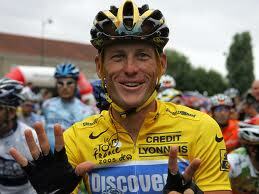 Doping is an unfortunate fact of life in cycling, or any other endurance sport for that matter. Inevitably, some teams and riders feel its like nuclear weapons — that they have to do it to stay competitive within the peloton. 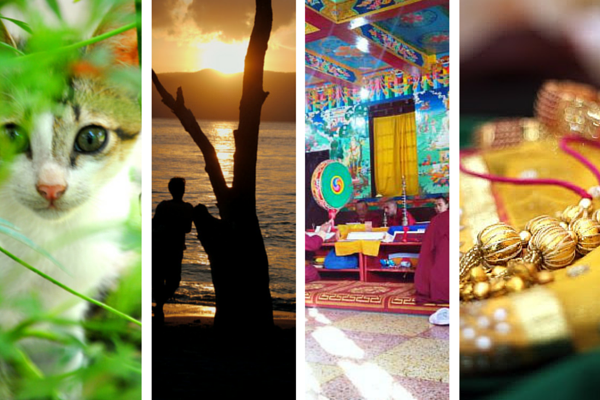 I never felt that way, and certainly after chemo the idea of putting anything foreign in my body was especially repulsive. Overall, I had extremely mixed feelings about the 1998 tour, I sympathised with the riders caught in the firestorm, some of whom I knew well, but I also felt the tour would be a more fair event from then on. Page 246 (last para onwards) I was making enemies in the Alps. My newly acquired climbing prowess aroused suspicio n in the French press, still sniffing for blood after the scandal of the previous summer. A whispering campaign began: “Armstrong must be on something.” Stories in L’Equipe and Le Monde insinuated, without saying it outright, that my comeback was a little too miraculous. I knew there would be consequences for Sestriere — it was almost a tradition that any rider who wore the yellow jersey was subject to drug speculation. But I was taken aback by the improbable nature of the charges in the French press: some reporters actually suggested that chemotherapy had been beneficial to my racing. They speculated that I had been given some mysterious drug during the treatments that was performance-enhancing. ….I had absolutely nothing to hide, and the drug tests proved it. It was no coincidence that every time Tour officials chose a rider from our team for random drug testing, I was their man. Drug testing was the most demeaning aspect of the Tour… We called the doctors Vampires. But the drug tests became my best friend, because they proved that I was clean. I had been tested and checked, and retested. Page 251 (first para) I decided to adress the charges outright, and held a press conference in Saint-Gaudens. “I have been on my deathbed, and I am not stupid,” I said. Everyone knew that use of EPO and steroids by healthy people can cause blood disorders and strokes. What’s more, I told the press, it wasn’t so shocking that I had won Sestriere; I was an established former World Champion. Page 252 (second para) Not long after I crossed the finish line, a French TV journalist confronted me: there were reports that I had tested positive for a banned substance. The report was wrong, of course. Le Monde had published a story stating that a drug test had turned up minute traces of corticosteroid in my urine. I was using a cortisone cream to treat a case of saddle sores — and I had cleared the cream with the Tour authorities before the race ever started. Immediately, Tour authorities issued a statement affirming my innocence. “Le Monde was looking for a drug story and they got one on skin cream,” I said. Page 254 (last para) But after five hours on the bike, I now had to face another two-hour press conference. I was beginning to feel that the press was trying to break me mentally, because the other riders couldn’t do it physically. The media had become as much of an obstacle as the terrain itself. That day the International Cycling Union released all of my drug tests, which were, in fact, clean. PS: Do not intend to violate any copyrights. 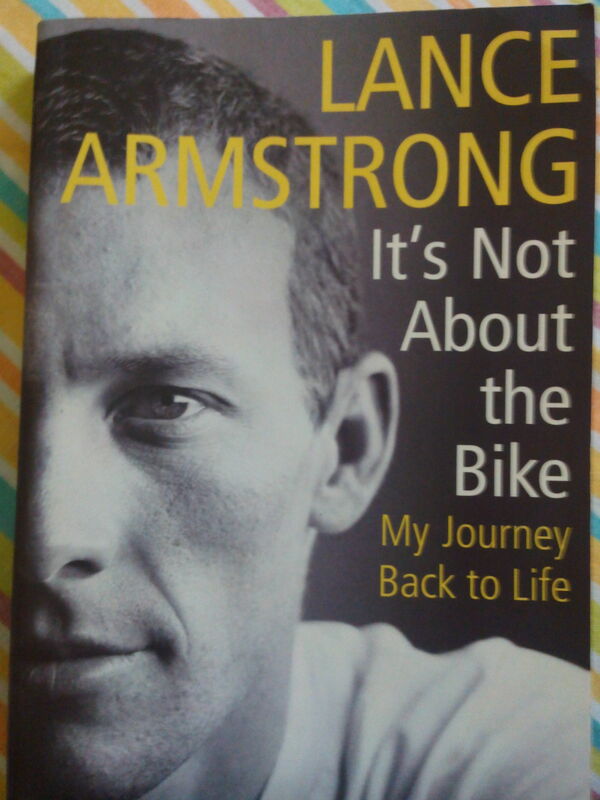 This is just a post to make it easier for people to know where all Lance Armstrong mentioned about doping in his book. I love badminton and it was a part of my duties as a sports journalist to cover this sport. It is always a thrilling and energising experience to be at any badminton tournament, doesn’t matter if its a district level tournament or a Super Series. And now that we have some great badminton players, it’s an even cheery experience to watch the matches as the crowd cheers on. For the first time, after I quit my job to take a break post-marriage, I travelled to New Delhi to watch the third Indian Open Super Series in April 2013 to attend this tournament purely as a ‘spectator’. And trust me, if you are covering a tournament, the chances are you might overlook certain interesting bits on court, but as a spectator stories would just jump up in your face. And so that April I was mesmerised by how colourful and vibrant badminton players’ apparels and shoes are. This time I had a camera with me and had ample time to laze around at the Siri Fort Stadium. Neon is particularly in fashion and it was surprising (and unsettling) to see some players wear it. Badminton superpower China had this eye-popping florescent orange uniform with matching shoes and it seemed they were trying to blind their opponents across the net. I just went crazy looking at all those colourful shoes! FYI, the single pair of shoes in yellow, belong to our super star PV Sindhu. 😉 Her entire picture took too much of space.